In a watershed video released on Monday, Christian Zionist leader Tommy Waller made a groundbreaking proclamation calling for an unequivocal end to centuries of replacement theology and Christian missionizing. The announcement, released on Monday just prior to the 500th anniversary of Martin Luther’s Ninety-Five Theses, is intended to catalyze the theological changes necessary to allow Christians and Jews to, as one prominent rabbi put it, be “partners in the Great Redemption”. “Any agreement with replacement theology is disagreement with God, who identifies himself as the God of Abraham, Isaac, and Jacob – the God of Israel,” Waller states firmly in the video, which is captioned in Hebrew. Replacement theology is a Christian doctrine which holds that Christians “replaced” Jews in the Biblical covenant with God. Waller’s declaration comes a month before Reformation Day, commemorating when Christian reformer Martin Luther nailed his Ninety-Five Theses on the door of the Castle Church in Wittenberg, Germany on October 31, 1517. Luther expressed antagonistic views towards Jews, writing that Jewish homes and synagogues should be destroyed, their money confiscated, and their liberty curtailed. These doctrines, along with his imperative, adopted by mainstream Christianity, advocating conversion of Jews, have tainted relations between the two religions for centuries. Waller’s unambiguous plea that Christians completely abandon the centuries-long practice of missionizing Jews represents a major break with what many believe is a basic tenet of Christianity and the sole reason for Christians to reach out to Jews. “Please stop any missionary attempt to take away Jewish identity from those whom God chose to carry his name,” Waller requests from his Christian viewers. Waller left a position in the upper management of Federal Express to found Hayovel, a growing Christian Zionist organization which brings thousands of Christian volunteers from all over the world to Israel to serve Jewish farmers in Judea and Samaria. 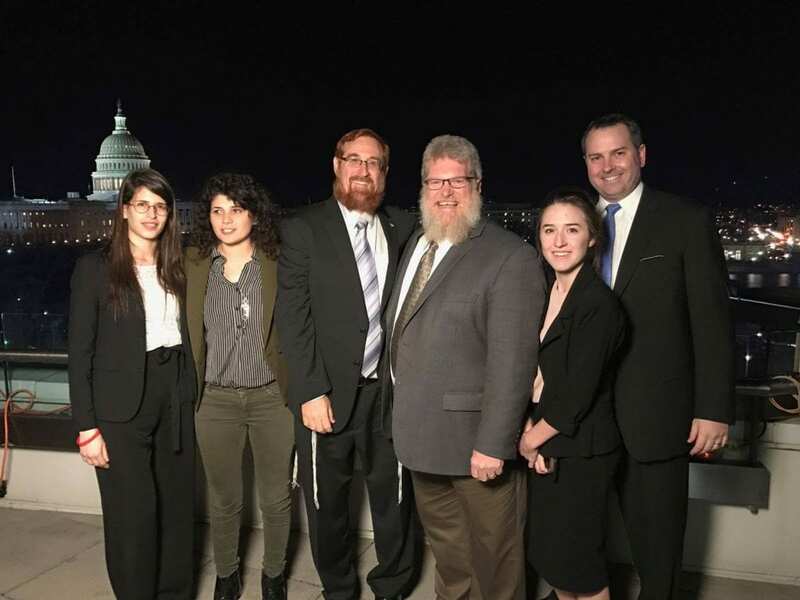 In conjunction with their practical, grassroots efforts, Hayovel headed a delegation that, in a significant first, brought Knesset Members to Washington last January to attend the inauguration of Donald Trump. Waller is dedicated to realizing the Biblical prophecy expressed in Jeremiah. Waller admits that when he first started his work he was under the impression that Jews “needed to be saved,” but the reality he discovered in Israel led him to abandon that belief. As a Christian, Waller laments the harsh treatment of the Jews throughout the history of Christianity. “Like most Christians, I was unaware of the horrible history many Jews experienced at the hands of Christian over the last 2,000 years,” Waller explains. Turning to Jewish viewers, Waller asks forgiveness for Christianity’s crimes. The appeal comes during the ten-day period of repentance between Rosh Hashana and Yom Kippur. Hayovel became aware of the need for a strong statement defining their relationship with Israel and the Jewish people when, over the course of recent months, the organization began “receiving more resistance from some Jewish groups in Israel who were concerned that our goal was missionary,” Luke Hilton, marketing director of Hayovel, explained to Breaking Israel News. As a group of Christian Zionists, Hayovel acts as a bridge between the two religions in a totally unprecedented manner, which can be challenging. Precisely because of the difficult history between the two religions, including persecution and proselytizing, many Jews are reluctant to accept offers of friendship from the growing Christian Zionist movement. But Hayovel has something most Christian organizations don’t: halachic (Jewish law) endorsement from major Israeli rabbinic figures. Understanding the reluctance of many Jews to work with Hayovel, the organization saw that rabbinic approval was necessary. 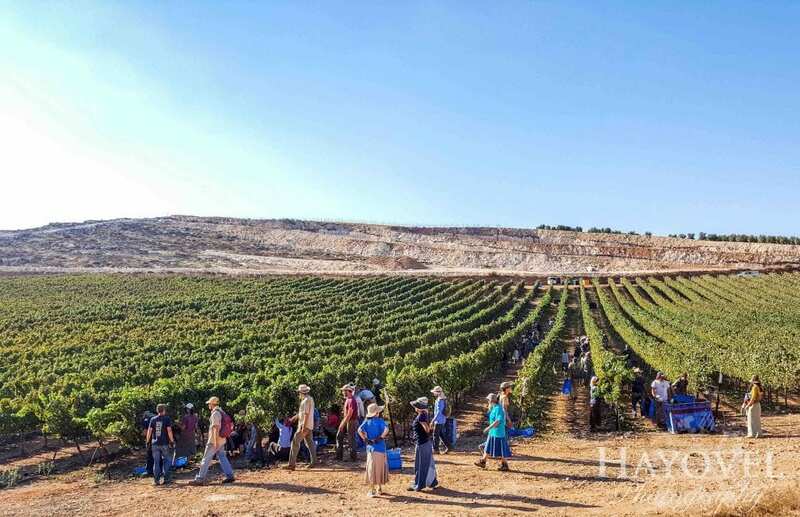 They turned to Rabbi Eliezer Melamed, spiritual leader of the community of Har Bracha in Samaria, the community where Hayovel does its seasonal harvesting. 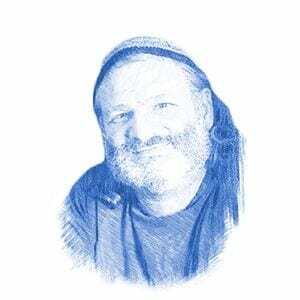 An internationally respected authority on halacha, Rabbi Melamed has worked closely with Hayovel since the outset. In his psak halacha (Torah decision) supporting Hayovel’s mission, the rabbi calls pro-Israel Christians “righteous Gentiles” and describes love of Israel as “the litmus test in this world for morality, truth, and faith”. When it comes to Christians who believe that God chose Israel, and that all of the good prophecies should be realized within Israel, and they are not working to convert us, God forbid, rather, to strengthen us – then all the severe things mentioned about Christians do not apply to them. On the contrary – great corrections are being made by them, they are righteous Gentiles, and God will reward them. In his ruling, Rabbi Melamed cited Rabbi Abraham Isaac Kook, the first Ashkenazi chief rabbi of British Mandatory Palestine, whose philosophy is still a major influence on Jewish theology today. Rabbi Kook wrote that the problems with Christianity and Islam lay, not in their religious beliefs, but in their “cancellation of the [Jewish] nation’s hope in relation to its complete revival”. After meeting with Waller several times over the course of many years, Rabbi Shmuel Eliyahu, the Chief Rabbi of Safed and a prominent Torah authority, also issued a halachic ruling in June in favor of Hayovel, referring to them as “partners in the great redemption”. Rabbi Eliyahu quoted the Prophet Isaiah as a Biblical precedent for the work Hayovel does. Hayovel has also been recognized by Member of Knesset Zeev Elkin (Likud) and Yuli Edelstein, Speaker of the Knesset, for their successful Israel advocacy. In his letter of support for Hayovel, Rabbi Abraham Gisar, the Rabbi of the city of Ofra, referred to the Jewish tradition as stated in the Talmud (Brachot) that Jews are forbidden from being entirely happy until the other nations recognize God’s greatness via the Jewish people. This is based on Psalms. 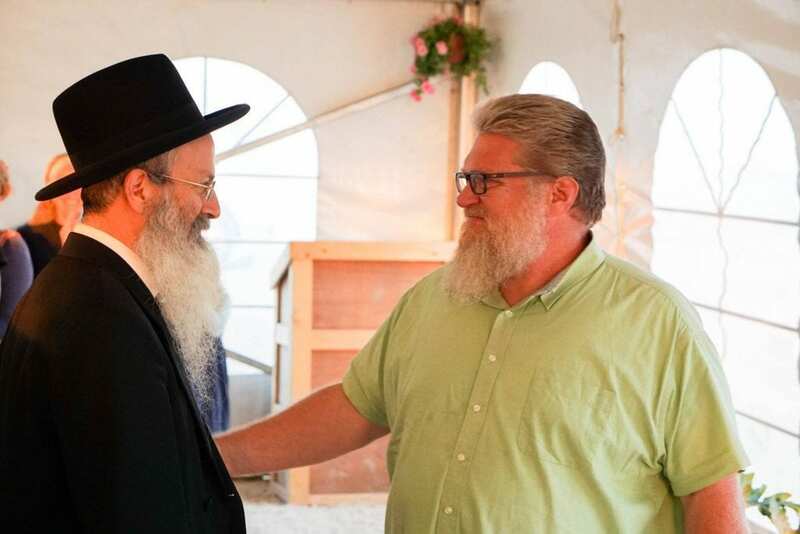 Rabbi Gisar emphasized that the “unprecedented” Christian love for Israel epitomized by Hayovel is based on Jewish Biblical prophecy and “brings a great blessing on Israel”.